Time and again, I come across a home listing that is well kept, with awesome features, in a great neighborhood... but it just isn't selling. Buyers will ask, "why has is been on the market so long?" Sellers will ask, "why isn't my house selling?" And the answer is usually: PRICE. My job, as your highly skilled real estate professional, is to do the research and give you the tools and information to price your home properly, or to make the appropriate offer on a property. To get that information, I look at factors such as style, size, features, geographic location, schools, etc. in comparison to comparable recently sold (in the last 3 - 6 months) properties. I don't set the price - you don't set the price - THE MARKET SETS THE PRICE. The goal is to sell the property in the least amount of time for the most money. And your pricing strategy will have a direct effect on your success of selling for the most money in the least amount of time. Statistics show that if you price your property too high, you risk sitting on the market for months. And in the end, you will probably be selling for less than if you priced properly from the beginning, because you will need to do price reductions to offset the perception that there is something wrong with the property. Price your property too low, and you aren't maximizing the potential profit from the sale - and the bidding war you hoped to achieve may never materialize. Take a look at the snapshot below which demonstrates the effect price has on sales vs. listing price and days on market. Getting the price right from the beginning, is your best bet for selling your home for the most amount of money in the least amount of time. Are you ready to have a chat about selling your home? I would love to meet with you to discuss how Premier Atlanta Real Estate will help you market, prep and price your home so that you can sell with success. 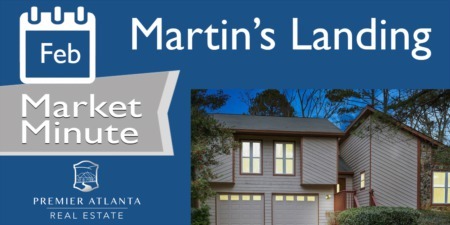 Give me a call at 404-561-1842!